Minimum working pressure 0.1 bar. Comes with back nut and washer. Traditional Taps Basin (2 Pack) is rated 4.0 out of 5 by 17. Rated 1 out of 5 by Jeffro450 from Poor quality Bought these & fitted them thinking great,but within three months the turning of the taps had practically ceased up ,i don't like to give a bad review but if you're thinking of buying bathroom taps avoid these. Rated 5 out of 5 by Jukelele 40 from Not bad looking taps. I bought these taps a couple of weeks ago, The plumber came today and fitted the with no problems. Nice looking very retro. Wife’s pleased, job done! 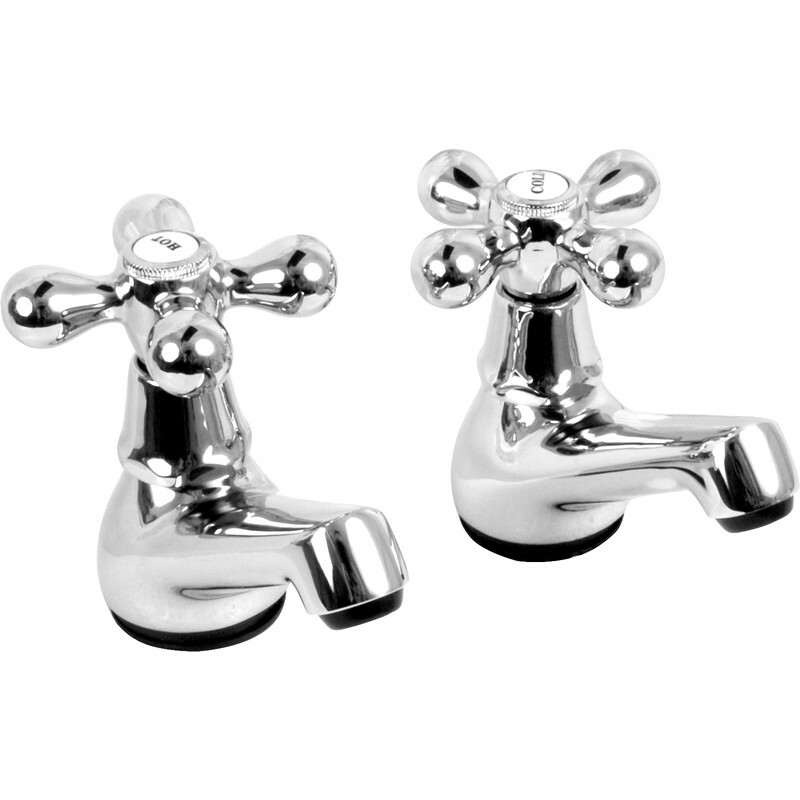 Rated 5 out of 5 by Gosport92 from Lovely taps Easy to fit and look great. Rated 5 out of 5 by Vectian from Good Value Bought in error but were exchanged at my local Toolstation for basin taps without difficulty. They were replacements for a similar, but not identical, pair that were required to match the bath mixer which is in good working order. Rated 5 out of 5 by jnfn from Basin tapes Fitted these the day they were delivered and quite pleased with the style and look.